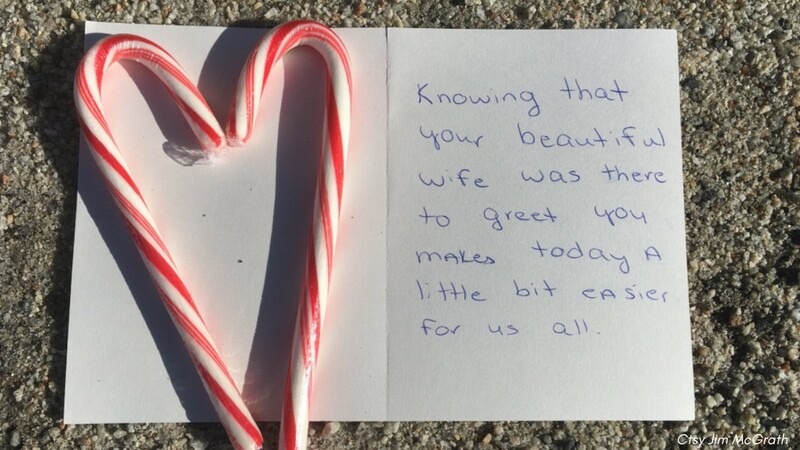 A note left in Kennebunkport hours after the passing of President Bush. 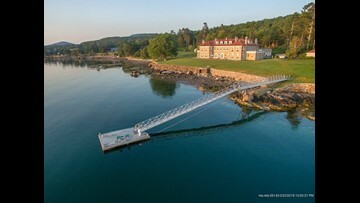 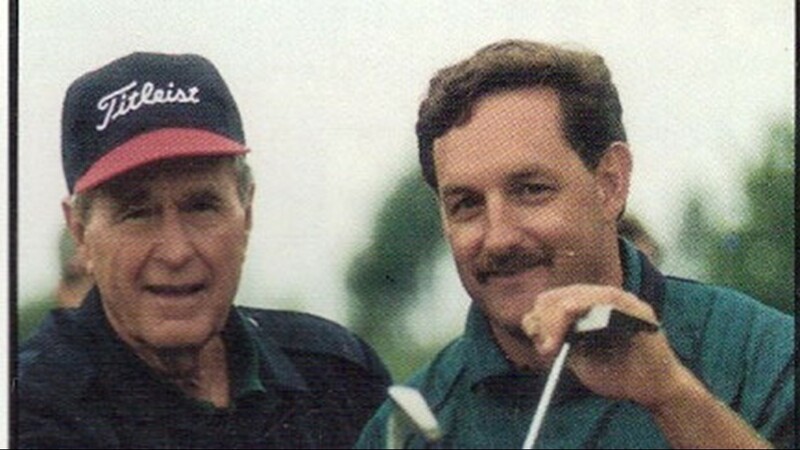 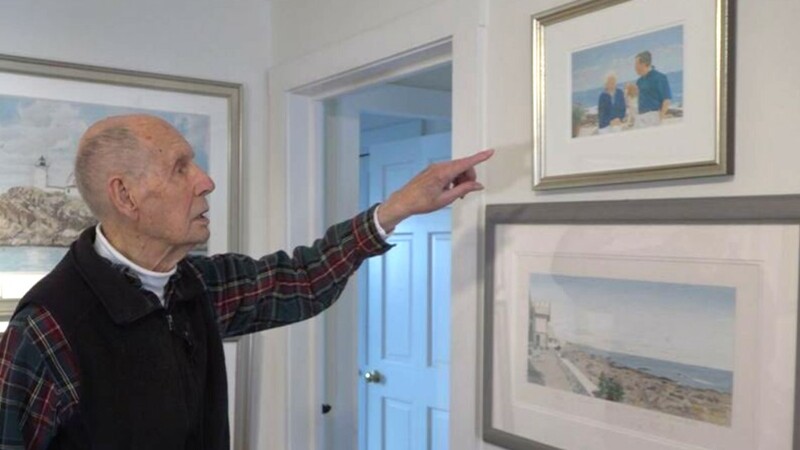 Kennebunkport painter, Bob Paine, remembers his friend President Bush who he has painted over the years. 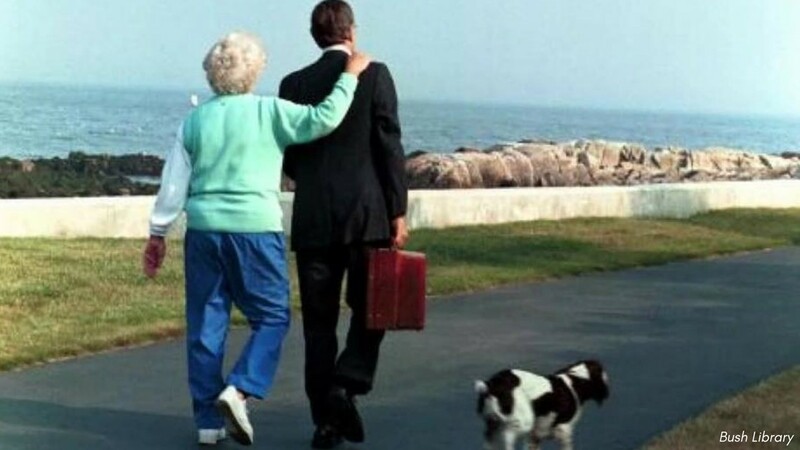 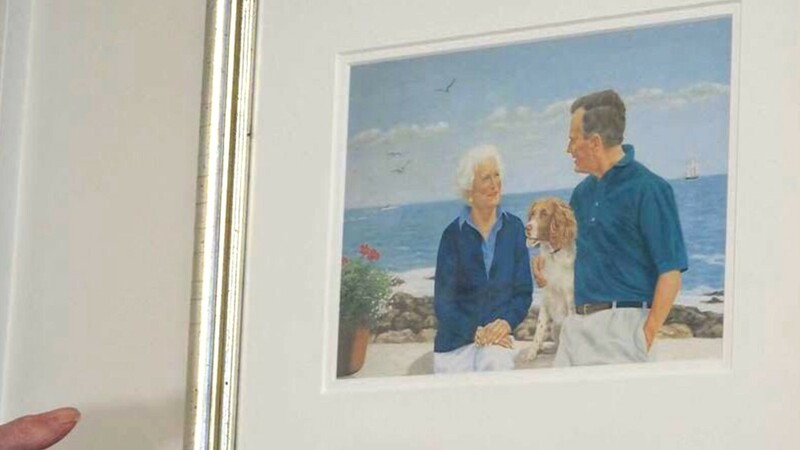 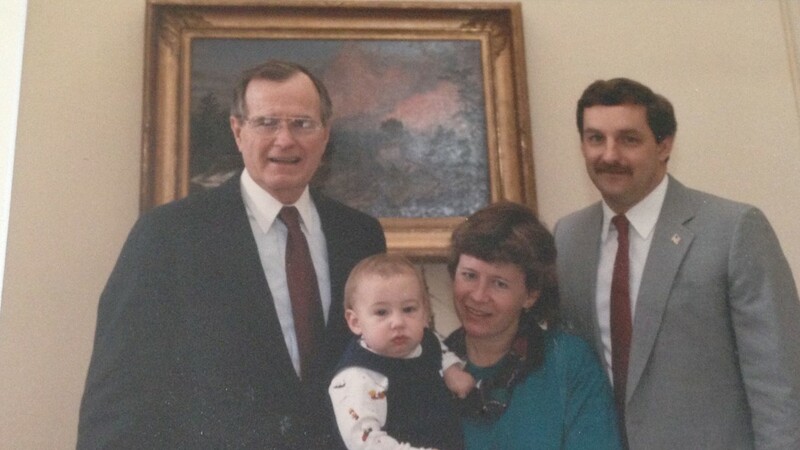 The 95-year-old painter, Bob Paine, and his wife, Evelyn, knew the 41st President and his wife, Barbara, for more than three decades, and painted a number of portraits and landscapes for the family. 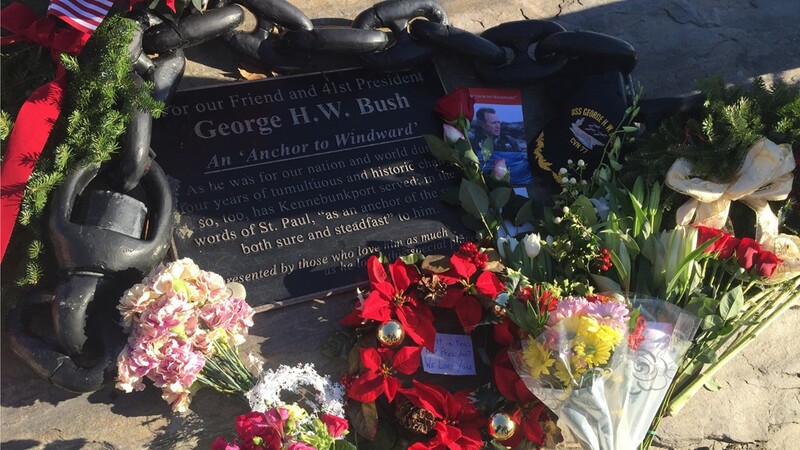 Mourners left flowers and mementos at the lookout for Walker's Point in Kennebunkport where Bush spent nearly every summer of his life.